The experience has helped me in analyzing my capabilities. The faculty is overall good and infrastructure is decent. The amount of exposure one can get in this university is amazing if one is opportunistic and knows how to charm others. Seniors are very helpful and well-experienced. Their mooting and debating experiences are surely one of the best things about this university. 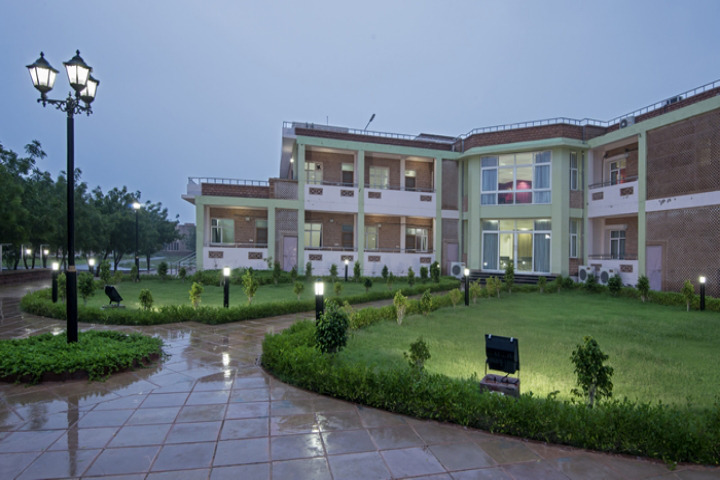 Hostel facilities are average as one will have to adapt the weather of Jodhpur and administration doesn't really provide any kind of services as such.Placement is pretty good and one needs to maintain a CV that will attract recruiters. And for this, one needs to maintain their grades from the very beginning. Being ranked in one of the top law schools in India, NLU Jodhpur stands out in many aspects some being infrastructure, academics, and culture. 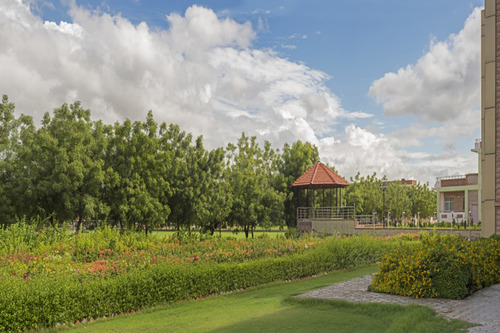 It has a beautiful and vibrant 55- acre campus which includes an acad block, an administrative block, a library, a convention centre , a cricket ground, a football field, a tennis and a badminton court. The campus has 5 boys' and 8 girls' halls of residence. Diversity is one of the first things I experienced when in stepped into this college as it has students with different backgrounds coming from all over the country. It also hosts some of the most sought- after fests such as NH-65(cultural fest) and Yuvardha (sports fest). The extensive course curriculum of the college makes sure you learn to manage your academics and other activities at the same time and that too, effectively. There are a number of committees like the Moot Court, Academic Support, and Literary committee, Sports, Cultural and the Legal Aid and Awareness Committee. their work not only helps us in understanding the working of the college but also in the five years that we spend here, they give us many opportunities to grow in different fields of our liking. Thus life at NLUJ is hectic, stressful and full of surprises. but it is also a place you will surely fall in love with. The stressful environment here prepares us for the gruelling world outside and is worth the pain of going through all the hard work because in the end, it gets you where you want to be. The best part about the college is the freedom that you have and the guidance and support from the few amazing teachers that we have. The hostels are single seater which gives you your privacy when needed. The crowd here is diverse and again you'll meet some of the best people here. Being a government university it is pretty affordable however the fee is higher than most of the other NLUs as we don't have any state reservation and hence a much lower state funding. We have three caterers in college so you will have your options but don't have very high expectations from any of them. Overall this place will be an amazing experience. My first impression while stepping foot in NLUJ was, "how will I survive the unbearable heat! ", but through the course of 4 years, despite it's locational disadvantage, unpredictable weather, and scorching sun, I have seen the campus transform from a desolate desert to a lush green oasis and the first years do not have the same complaints anymore. We at NLUJ have the best mess services from among all the CLAT colleges that we have ever been to or heard about - offering exceptional variety with three fully functional mess areas, one fruit shop, and two tuck shops (not to mention the 4 dhabas right outside college which is where you'll find half the college after classes). 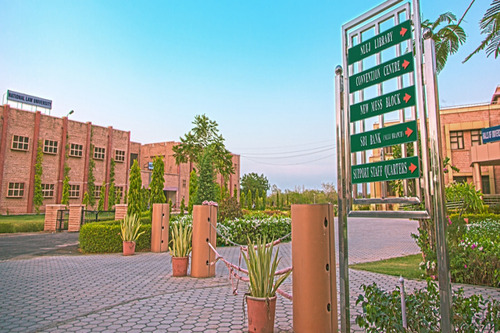 Other facilities include a unisex gym, Cultural Room with mirrored wall, a two-floor library building with four halls, a dedicated Moot Court Discussion Room, Placement Cell Office, Medical Centre, football field, volleyball football and tennis courts, an indoor badminton court, and about 10 gazebos. There are students from all regions and religions here. We are the only college in the top 5 law colleges in India which offers a BBA course, and I believe this course helped me immensely in securing my placement in a top tier corporate law firm on Day Zero. 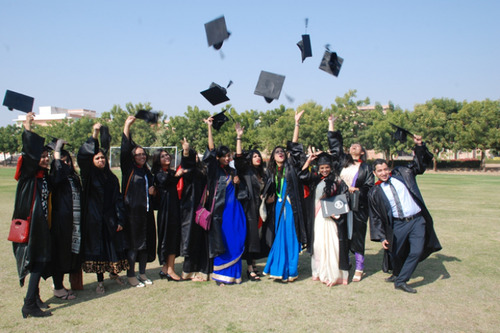 Our alumni are now well placed in law firms in both India and abroad, private practices in all major high courts, teaching at law colleges internationally, or pursuing further studies from ivy league colleges. This helps the students immensely in securing internships, research work, guidance and sponsorship for international competitions. While students of NLUJ are known for our exemplary mooting achievements, not every student moots, and the college offers them other pathways to excellence such as debating, legal aid work, publication of legal journals, and pro bono access to legal education for the underprivileged. In fact, the "Law Student of the Year" award recipients for both 2015 and 20016 are from our college. All in all, it is a wonderful institution to begin your foray into the legal profession and I would certainly recommend it to everyone! I've spent the past four and a half years at NLU Jodhpur and I've spent the best and worst times of my life here. Being a fully residential campus, it really forces you to grow up and fly out of the nest you were brought up in. 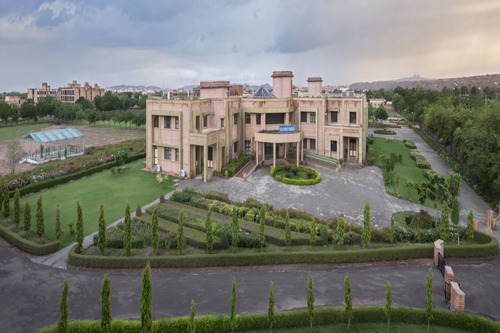 The college is located in Jodhpur, which is a great tourist destination but gets boring for young people as there isn't much to do, especially if one is used to the glitz and glamour of the metropolitan life. One of the best things about the hostel life here is single rooms. This ensures that you don't have to share your space with someone, even though the general exuberance of hostel life ensures that you're never bored. Apart from this, the college has decent infrastructure, including several sports facilities, and 3 types of messes offering both vegetarian and non-vegetarian food. The food here is oily and spicy, but it's probably the best among all NLUs. The industry exposure to the students is great as we have a strong alumni base. The Placement Cell organizes lectures and internships to ensure that students get the best industry exposure, However, sadly, this does not permeate the academic system, which like most Indian colleges, is often outdated. The experience of spending 5 years in a city like Jodhpur is unlike anything else. it's gorgeous, with great historical roots. However, most of the places cater to tourists and few are student friendly. It's a small town where people can often be judgemental and there isn't any pub culture of the nightlife scene, really. 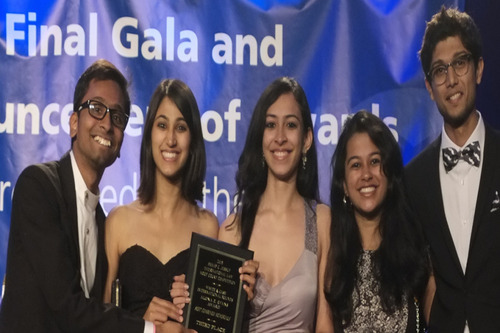 However, the students often organize parties near the college and this ensures constant fun. As far as placements go, we've been doing really well. The Placement Cell ensures that each student has a fair chance to compete, and if the student makes a reasonable effort, getting a decent job is not difficult. However, that obviously depends on the student's CV and interview performance and the college is only a facilitator. The faculty in college is not great, overall, but we do have some great teachers. However, this is the situation in nearly every top law school in the country. At the end of the day, you just need to learn on your own and make efforts to do so. The student crowd here is really diverse, with people from all geographical locations, socio-economic backgrounds, castes and creeds coming together. This itself is one of my favourite things about college life because it provides a lot of exposure and knowledge, which a local college never could. All in all, despite the challenges, this is the one place that I have grown to love and cherish. it's made me grow up. It's made me the person I am today and instilled a sense of confidence and ambition in me. What is the average annual package? 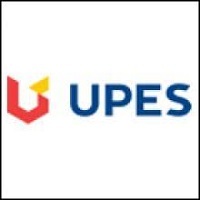 When will the classes start for UG course in NLU Jodhpur? How to download the call letter. I got NLU Jodhpur in the 3rd list. The National Law University in Jodhpur (NLUJ) is the fifth oldest of the NLUs in the country, having been established in 2001. Both UG, as well as PG level courses, are available here at the NLUJ. At the UG level, the flagship five- year integrated programme BA LLB is offered. Another unique programme here is the BBA LLB. This was developed due to the realization that students wanted a study theme which could combine the legal and business aspects. The LLB, of course, is the standard degree offered to Common Law countries’ legal study graduates. At the master’s level, the LLM is offered in two key areas which are in Corporate Laws and in the Intellectual Property Rights (IPR). There is a separate IPR Chair as well, outlining the research credentials in the field here. The entire academics here at the NLUJ is run by the specific centres, each having expertise in its designated area. 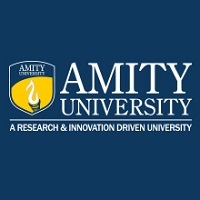 There are centre here for – Corporate Governance, IP Studies, Transactional Law, Tax Law, Capital Market, Gender Studies, Legal Theory, Litigation Studies, Criminal Law Studies, Wellness & Counseling, Human Welfare & Empowerment, Risk Management & Derivatives, Competition Law & Policy, Environmental Law & Policy and in Banking & Finance besides a few other areas. There is also a BRICS Law Institute specially curated for the member nations. In addition, the School of Insurance functions with some degree of autonomy. Several chairs and endowments have also been received by the NLUJ to further its research credentials. These have been received from the likes of the RBI, GIC and New India Assurance Co.
Stitching academic ties and student exchange collaborations has long been the forte of the NLUJ. On the one hand, there are several ties domestically with bodies such as the Bureau of Policy Research and Development in New Delhi and with the MNLU Mumbai. It is also a member of the NLU- IIT- AIIMS Knowledge Exchange Agreement. On the other hand, it is also a signatory with several foreign universities in countries such as USA, UK, Russia, Germany, Canada, China and the Republic of South Africa. Some universities with ties forged include- University of New Hampshire, Freiburg University, King’s College, Ural State Law Academy, Beijing Union University, University of Arizona and the University of Johannesburg besides a few more. A lot of the research that takes place at the NLUJ gets published in their own in-house journals. The best known of them is the NLUJ Law Review. Another is the Indian Journal of Legal Theory. Yet another is the Indian Journal of Arbitration Law. The other journals published here are the- Journal of Intellectual Property Law, Journal of Corporate Law & Governance and the Journal on Comparative Constitutional Law & Administrative Law. All this has contributed to the consistently high rankings achieved across platforms. It has been ranked as the 5th best among law colleges in the NIRF (National Institutional Rankings Framework) 2018. This in turn has fueled an extremely positive placements scenario over the years. Some of the key recruiters in recent years have been the likes of – Clifford Chance LLP, Simmons & Simmons LLP, Herbert Smith LLP, SEBI, EY, ICICI Bank, Edelweiss, ICICI Lombard, Goldman Sachs, Deutsche Bank, Birla Global Finance, Bajaj Allianz, IL&FS, NTPC, IOCL, BHEL, L&T, Hindalco, Tata Sons, Porsche, Infosys, Tata AIG, Wipro, Novartis and several others. Classrooms :The field of law is ever-evolving and even a life devoted to its study is not sufficient to have a complete grasp over all its facets. At NLUJ, the students are given a platform to imbibe the art of its interpretation. 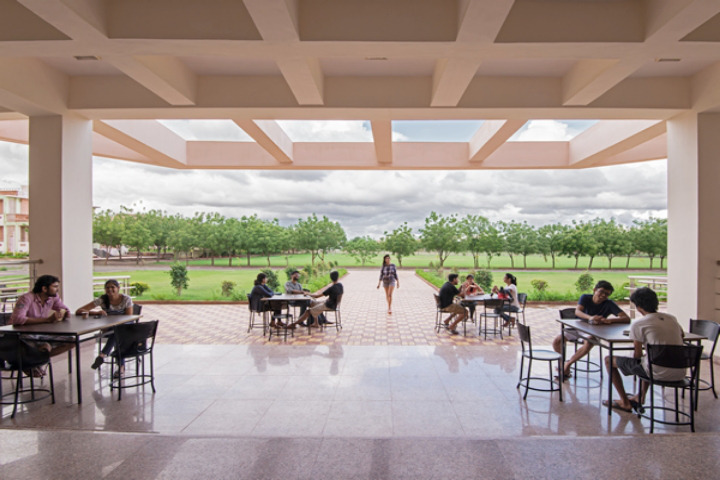 The University provides to its students' air-conditioned classrooms with the comfortable seating arrangement. Each classroom has a slide-projector attached which has reaped immense benefits to the students through the medium of e-learning. The University has some of the most distinguished luminaries as its faculty and with such arrangements, the teacher-student interaction and consequent intellectual gain for the students is thoroughly boosted. Moot Court :The university has the Moot Court facility available for all students. For a comprehensive understanding of law, there is need to master not just concept but also its manner and actual practice. By including CREs as a mode of evaluation, the University intends to make them confident, emphatic and competent guardians of law. In furtherance of this objective, two Moot Court Rooms have been made in the Halls of Learning, each of which is an exact replica of the Actual Court. These rooms are used not just during the Court Room Exercises but also during the Anti-Trust Inter-University Moot conducted by the University and during the intra universtiy mooting competitions held on various occasions in the Semester. 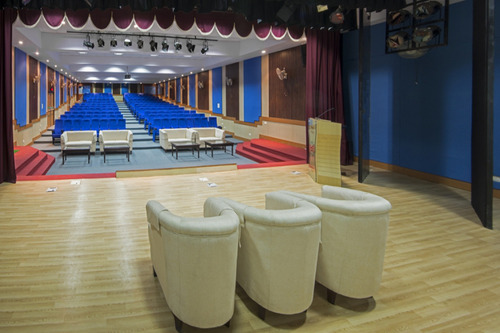 Auditorium :The Auditorium enjoys the sheer distinction of being one of the most well equipped, most acoustic friendly auditoriums in the state of Rajasthan with a seating capacity of 250. The auditorium is designed with international benchmarks of acoustics and multimedia and it is a unique specimen of state of the art technology and facilities. It is our strong conviction that learning is not to be confined to classroom learning. The University very pro-actively hosts various seminars, conferences, symposiums and guest lectures on diverse areas of law and contemporary relevance. The venue for all of these is the Conference Hall, which is a spacious Hall which can easily accommodate over 275 people. Given the pro-activity of our Students and professors, the available infrastructure of this Air conditioned, projector equipped Hall is used almost weekly by the University. Laboratories :Ours is one of those few Universities which provide for growth of both scientific temper and legal proficiency. In furtherance of our B.Sc.,LLB (Hons.) course, we have provided for fully furnished laboratories to ensure that the students acquire practical learning not just in law but also in the affiliated science subjects. Boys Hostel :Proper hostel facilities are a direct ingredient of the well being of students. The University has placed immense premium not just on the infrastructure in tHalls of Residencehe Halls of Learning but also in Halls of Residence. Every student has been allotted individual rooms with adequate space for a cupboard and a table and chair with an attached balcony. The students are allowed to keep a cooler as per their convenience. Apart from these, a student can avail the facility of getting his room cleaned daily, if need be. The toilets and washrooms are shared in the hostels, with one compound for the same on every floor. Moreover, a water cooler has been placed in the pantry of every floor except the ground floor and the top floor. A woman who does the laundry regularly visits the hostels. Nonetheless, the students have also been allowed to purchase and operate a washing machine on each floor. Girls Hostel :Proper hostel facilities are a direct ingredient of the well being of students. The University has placed immense premium not just on the infrastructure in tHalls of Residencehe Halls of Learning but also in Halls of Residence. All the facilities mentioned for boys extend to the girls’ hostel as well. The compound is built separately from the Boys Hostel, with a specific entry gate to ensure their safety and well being. Both hostels have sufficient proximity to the mess. Cafeteria :The University has hired two caterers to provide food to its students on a pay-and-eat basis. Through this mechanism, the students get the opportunity to choose their food for every meal, as the two caterers provide a menu for every meal ie. breakfast, lunch and dinner. Apart from this one mess also provides non-vegetarian food on a daily basis. The mess is open from 7:30 am in the morning till 10:30 pm in the evening. Students can choose when they want to have ice-creams and wafers as they are available 24*7. Gym :Health and fitness is an important part of living a balanced life. The University has therefore made provisions of a well maintained Gym and able Gym Instructor. All sophisticated equipment needed for the purpose has been provided by the University. Gym facilities have been created separately for boys and girls. 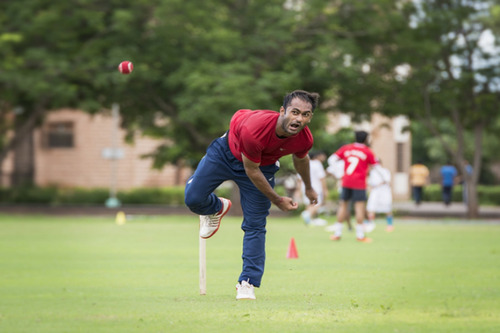 Sports :All-rounders will never just contain themselves to just academics. 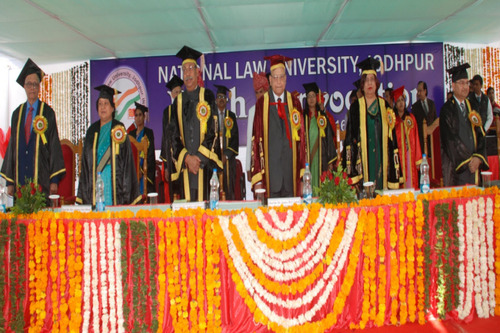 National Law University, Jodhpur provides opportunities for growth of extra-curricular talents. The Cultural and Sports Complex contains: Badminton Court: The University has the facility of an indoor badminton court open till 10pm daily, furnished with a proper lighting mechanism (which makes playing late evening comfortable and convenient) and synthetic track. 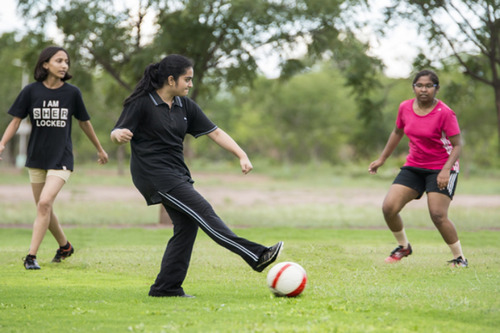 The court serves the purpose of being the perfect stress-buster for students. Cultural Room: Near the hostels and adjacent to the indoor badminton court is situated our cultural complex which is spacious, has the pantry, water-cooler and green room facility and is used frequently for practicing for cultural events. It works towards fostering holistic development of the individual. Medical/Hospital :Health care services are the prime concern of the parents when they leave their wards at their home away from home. At National Law University Jodhpur we have a proper medical centre, with facilities to meet any emergency situation when need be. A qualified Doctor visits the Centre for Medical Care daily between 5-6 pm. The Centre is well equipped with all the basic medicines which may be required to cater to minor medical needs. These services are available 24*7. Guest Room/Waiting Room :National Law University Jodhpur is frequently visited by many guest lecturers, analysts, scholars and family members of our students. For their convenient stay, the University has made complete residential arrangements within the campus. The Guest House has spacious rooms, air- conditioned and properly ventilated, ready to play host for your stay on campus. 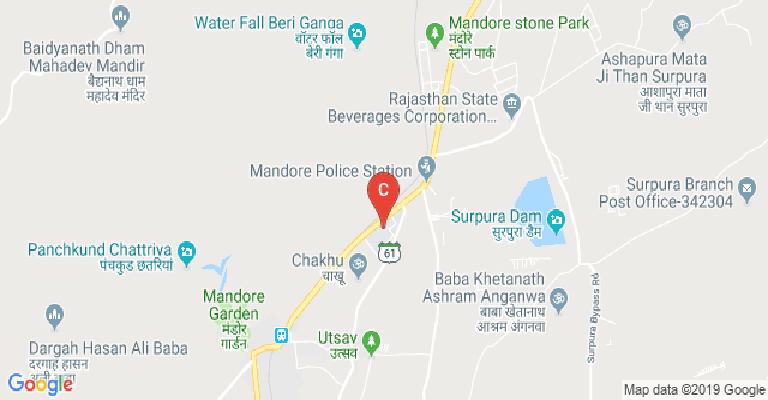 Banks/ATMs :National Law University Jodhpur Campus has a State Bank of India Branch located in its community center for the fiscal convenience of the students. The branch provides all banking facilities to the students to ensure that they do not have to visit the city for the same. 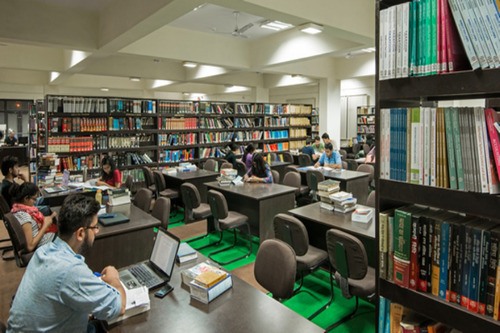 I.T Infrastructure :The Wi-Fi campus is built on the lines of that of some of the best law schools in the world with a broad range of dedicated facilities. The educational experience is augmented by sophisticasted and continously evolving IT systems that seamlessly integrate technology throughout the campus. The facility has been designed keeping in mind the flexibility needed to produce continous stream of innovation in contemporary education and integrated research. Local Area Network (LAN) at 100Mbps providing 100% connectivity to the entire campus including Halls of Residence. A few more characteristics of the University's State of Art facilities include: 1. Wireless access to Internet throughout the campus 2. 24 x 7 availability of the internet at 1Gbps speed 3. State-of-the-art audio-visual facilities in lecture theaters and classrooms. 4. Internet browsing facilities and integrated e-mail system accessible from anywhere in the campus. 5. Single seated room with internet connectivity 6. On-Line Class Room 7. The NLU website for in depth information on the University and its current activities. 8. Unique Placement portal for collaboration between graduating students, career services office and prospective employers. 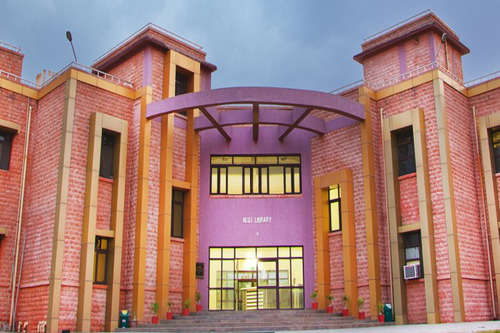 Library block has a well-equipped computer lab with latest configuration. It has 1 Gbps Internet facilities. IT facilitates faculty members & students to explore online libraries and knowledge resources. 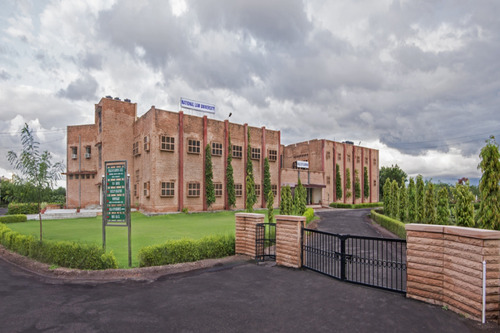 Transport Facility :National Law University Jodhpur is 12 kms away from the main city. Yet transport is not a problem as commutation is facilitated by the university bus, which plies daily from the campus to the city atleast 5 times both in the morning and in the evening at specific timings. As the University is situated on NH-65, city buses can be easily access from just outside the University in a interval of 15 minutes. Moreover, autos are easily available from outside the University campus.